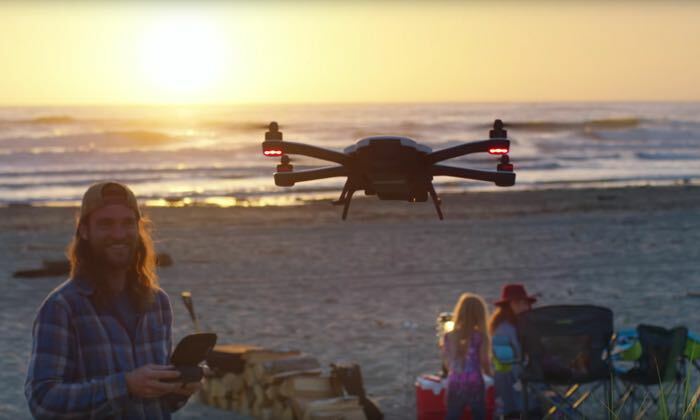 As well as announcing the new GoPro Hero5 cameras the company also announced its new drone, the GoPro Karma drone. The GoPro Karma drone comes with a foldable design and it fits into a small backpack and it comes with a choice of camera options including the new Hero5 cameras for an extra cost. Compact and foldable, the entire system fits into the included backpack that’s so comfortable to wear during any activity, users will forget they’ve got it on. A game-style controller features an integrated touch display, making it fun, fast and easy to fly without the need for a separate phone or tablet to see what your drone sees. The 3-axis camera stabilizer can be removed from the drone and attached to the included Karma Grip for capturing ultra-smooth handheld and gear-mounted footage. The GoPro Karma drone will go on sale on the 23rd of October and prices for the device start at $799.